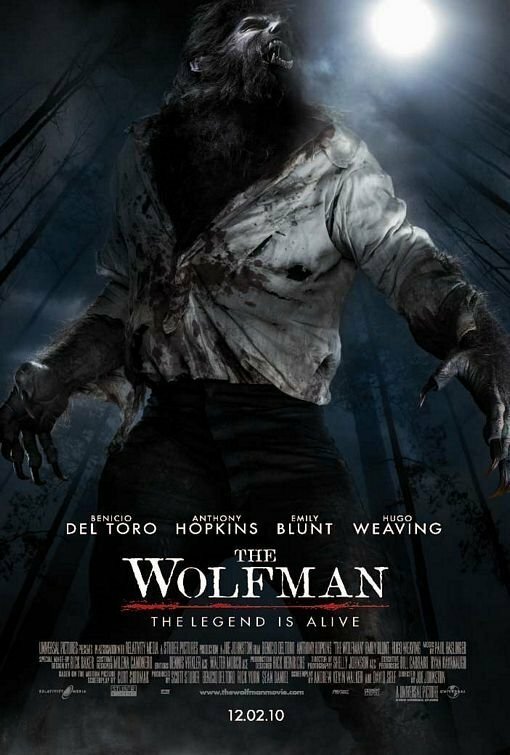 The Wolfman (2010). . HD Wallpaper and background images in the manusia serigala club tagged: the wolfman 2010 movie poster benicio del toro emily blunt anthony hopkins hugo weaving. This manusia serigala photo might contain tanda, poster, teks, papan tulis, and penembak dgn senapan.